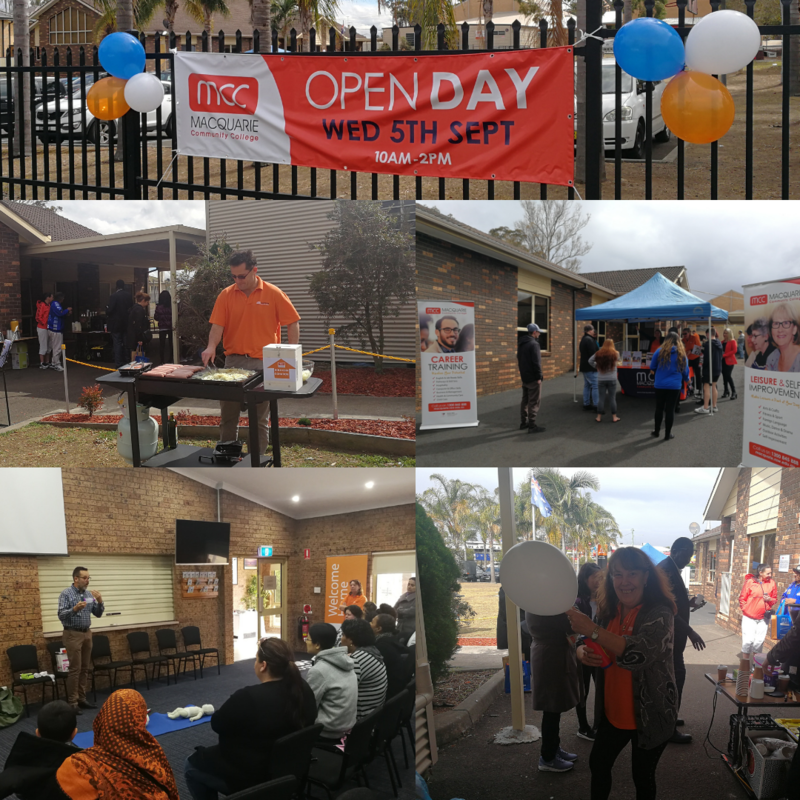 Thanks to everyone who attended our Open Day at MCC's Mt Druitt campus on Wednesday 5 September. Visitors got to experience a first aid training session, basic computer training, open classrooms in aged care and computing as well as information sessions on child care and english language learning. We took advantage of the sunshine before the rain came in and put on a delicious outdoor Sausage Sizzle with barista coffee! Check out all the photos on our Facebook page. We had a great day celebrating our Open Day during Adult Learner's Week and look forward to seeing you at our next Open Day at MCC Carlingford in February, 2019. More details to come! « Term 4 Catalogue Out Now - Try a Christmas themed course!